All The Write Stuff: Introducing Lisa Rector-Maass! It is with great delight to announce that independent editor and owner, Lisa Rector-Maass, of Third Draft New York City http://www.thirddraftnyc.com/ will be one of our conference presenters and one of our pre-conference workshop leaders. Lisa brings a wide range of experiences with her, starting her writing career at 17 as the youngest writer at BC Woman magazine in Vancouver, Canada. She has been a journalist, publicist, bookseller, agent and editor. She has served on the Surrey International’s Writers’ Conference Board and is the staff editor at Donald Maass’ Breakout Novel Workshops. Plus, she teaches at conferences worldwide often times with her husband, Donald Maass. She is an award winning writer, founder of the Lisa Rector Young Writer’s Scholarship and author of her upcoming book The Third Draft. Her specialty is late story issues, sagging middles and third draft woes and she has helped authors achieve book deals with Tor/MacMillan, Berkley Prime Crime and others. Questions she focuses on in her 11th hour checklist include “How much of each page centers on sequential action?” “What emotional triggers are in place and how have they been used to incite conflict?” and “Do characters inhabit the world of the story or simply pass through it?” These are the issues that create a sympathetic reader, one who will cheerfully forgo sleep in order to read your book, that crowning achievement that every writer wants. 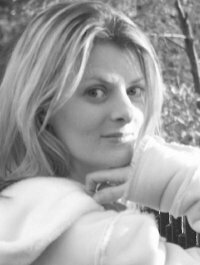 Lisa works with thrillers, suspense, mystery, historical, fantasy, mainstream and literary fiction. She does not take poetry, non-fiction, picture books, science fiction or horror. The four hour workshop she is teaching on Friday, March 25, 2011, Sagging Middle will provide you the expertise in enlivening voice, renewing conflict, and heightening subtext and tension. You should bring a WIP and writing materials. In addition to teaching her workshop, she is also giving two sessions during the conference. The first one is on Third Draft Issues for story diagnosis and repair for when that last elusive 10 percent isn’t working in your manuscript and The First 50 Pages which helps you to discover what is working and what isn’t. Does Ms. Rector-Maass accept Inspirational Romantic Suspense?